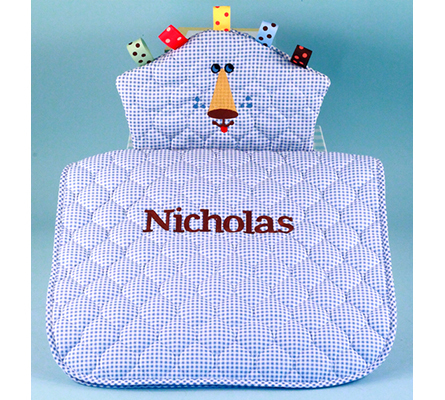 Here's a unique baby gift that makes diaper changes fun and fashionable too! It's our Time for a Change� Personalized Changing Pads. Designed and manufactured in the USA by Silly Phillie�, these distinctive changing pads are available in four absolutely adorable designs: Puppy, Lion, Owl, & Monkey. 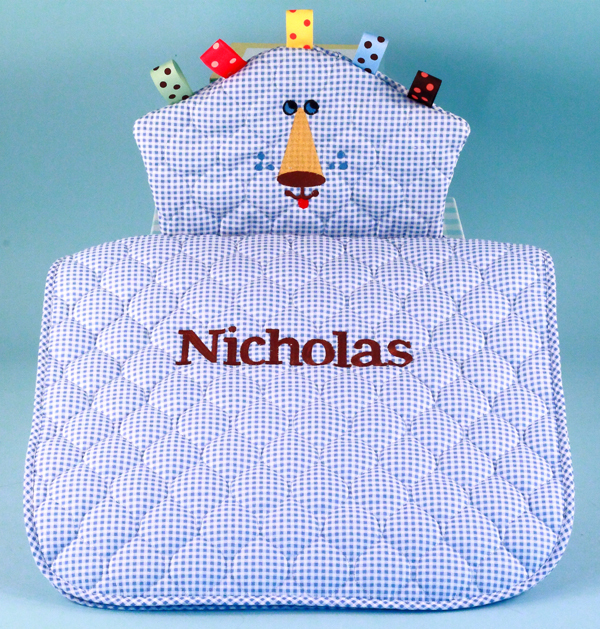 No matter which one you choose, baby's name will be beautifully embroidered on front to make this a truly unique and personalized baby gift. Time for a Change� Changing Pads are proudly made from American knitted cotton quilted fabric. Machine washable and generously sized at 25" x 18" to provide a comfortable and soft cushion for baby. Easy to roll up and pack for trips with baby, why not give the changing pad that is simply cuter than all the rest! Click here to see adorable Time for a Change designs for baby girl.